Private Hot Tub with outdoor fireplace! FREE wireless high speed internet and hard wire access. Free parking pass in the Village during the winter season which is only a couple minutes walk to the lifts. Concierge service Is provided for our guests to assist with arranging transportation to the resort, equipment rentals, dinner reservations, ski/board lessons, organize and purchase lift tickets on your behalf, pre-arrival grocery shopping, child care, spa services, and more, so that you will have a carefree, relaxing vacation. Once you make your reservation, our concierge will be contacting you to assist with all your needs and questions. 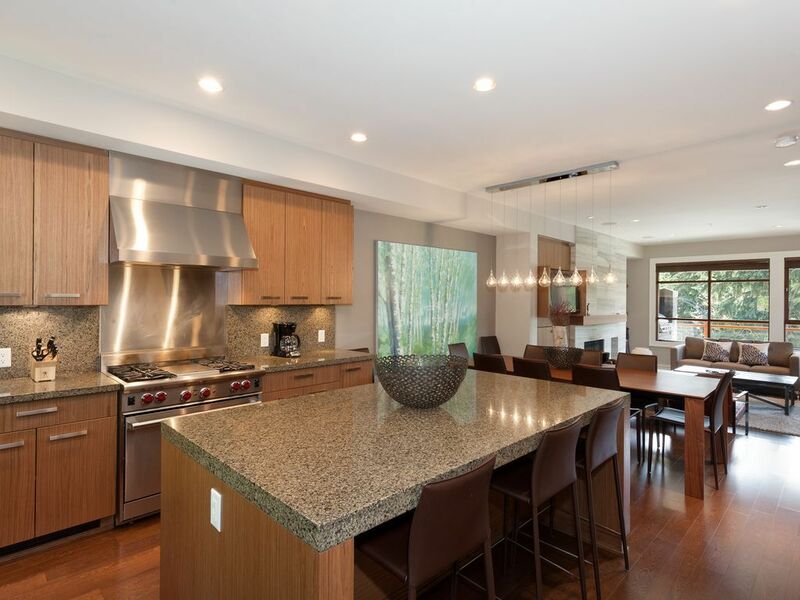 Imagine, you arrive in Whistler to a warm, cozy home with the fire blazing, groceries in the cupboards and your beverage of choice chilling in the fridge. Your lift tickets are organized, your ski equipment is arranged, your dinner reservations are made and the most pressing decision you have to make is whether to have a hot tub before or after you take a walk around the village. We live and work in Whistler. We are more then happy to assist you before and during your stay. My wife and I came to whistler for her birthday getaway and she was thrilled having never been there before. The townhouse was spectacular and we could not be happier with our experience. We will definitely be back. Excellent location. The staff (Bert) was very helpful when our espresso and coffee maker stopped working. Living areas great. Loved the grill. Limited shampoo so bring your own. Layout and decor awesome. View of mountain amazing. Would definitely stay again. Very nice unit. Plenty of room. Easy access to the mountain. Parking at the base was very easy and convenient. Thank you Matthew for staying with Whistler Ideal Accommodations at Fitzsimmons Walk. For those guests reading, we offer a parking pass for an underground parking lot in the village during the winter months for guests staying at Fitzsimmons Walk properties. We are happy to hear you took advantage of the pass and it worked well. We would be delighted to host you again. Our family of 6 adults and three grandkids (4, 2 and 1 years old) loved our experience at this rental in Feb 2019. The unit is very large which permitted multiple adults to easily work in the kitchen and the grandkids to have lots of space to play. In addition the dining room table was big enough for our entire family and 3 guests that came for dinner one night. We found every thing we needed in the kitchen to cook all our own meals during our 5 night stay. And the Nesters grocery store is within walking distance. We also loved the on-site private hot tub and it was used several times by nearly the entire family. The unit is NOT on the free Whistler bus routes although there is pay per ride service. We chose to drop off and pick up the skiers at the Whistler Village bus loop which turned out to be not a problems since only a maximum of 4 adults went skiing. Part of the family walked to the Whistler Olympic Plaza every day for sliding, skating and play time on the outdoor structure. We wanted a unit that would permit our multi-generational family to all sleep under one roof. And this unit was perfect!! The house was great. The house had everything it said it would have and the descriptions were accurate. The fireplace was out of commission and the walk was a little bit further than we were used to. The other different aspect of the town was the fact that the transit was not free and there was no uber. Great place, nice hot tub, plenty of space. Thank you for staying with Whistler Ideal Accommodations at Fitzsimmons Walk. For future guests reading, Fitzsimmons Walk is located just north of the main village about a 10-15 minute walk, $6-10 taxi ride and a 2 minute bus ride. The bus is the public bus service and costs $2.50 per ride. Fitzsimmons Walk is not located along the free village shuttle service however there is the free shuttle stop about 6 minute walk from the home. We are happy you enjoyed the home and would be delighted to host you again. Luxurious, modern, close to the hill, great for large groups! We had an awesome time staying here. ~15 min walk into town, short 2 min drive to the hill. Quiet, clean, modern. Nice private area for the hot tub. Kitchen is large with a beautiful stove! Beds are comfortable, showers are luxurious. Dealing with the owners was super easy. Would stay here again.